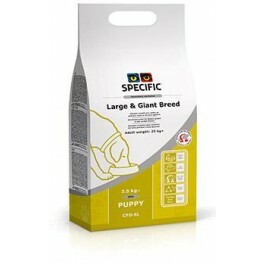 SPECIFIC Puppy Large & Giant Breed is a nutritionally complete and balanced dry food for large and giant breed puppies. What is SPECIFIC Canine Everyday Puppy Large & Giant Breed dry food? SPECIFIC Puppy Large & Giant Breed is a complete and balanced dry food for large breed puppies that will weigh over 25kg at adulthood. This food is suitable for large and giant breed puppies (over 25kg adult weight). Why do Large and Giant breeds need particular food? Large & giant breeds have very special needs when it comes to nutrition. 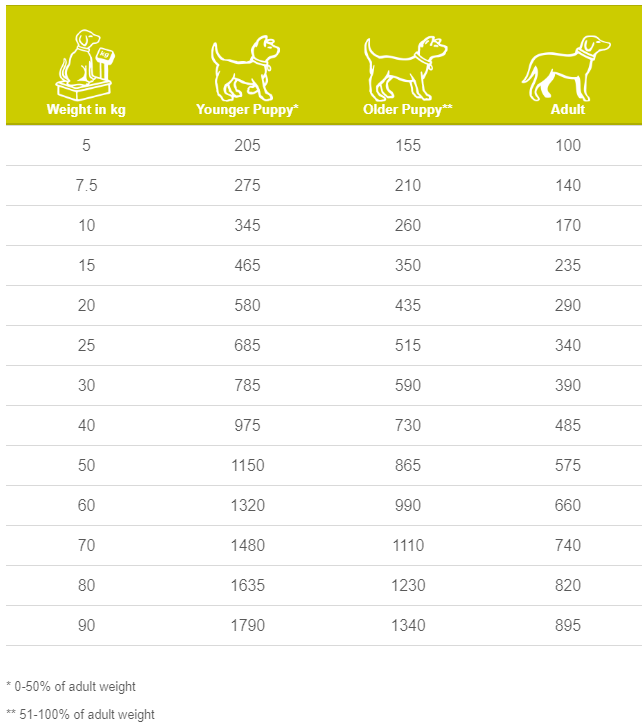 Many large and giant breed puppies are predisposed to grow fast and that can cause a range of problems later in life – and the wrong sort of nutrition can worsen that! SPECIFIC Large & Giant Breed has been formulated with moderate energy and calcium content to support the development of healthy joints and skeleton, whilst reducing the risk of accelerated growth or weight gain. What are the benefits of using SPECIFIC Canine Everyday Puppy Large & Giant Breed dry food? What is in SPECIFIC Canine Everyday Puppy Large & Giant Breed dry food? Crude Protein 25.5g, Crude Fat 11g, Carbohydrate 47.4g, Crude Fibre 2.2g, Calcium 0.8g, Phosphorus 0.7g, Sodium 0.25g, L-carnitine 30mg, Omega-3 0.63g, EPA 0.14g, DHA 0.19g, Water 8.5g, Ratio n-3:n-6 1:3. How much SPECIFIC Canine Everyday Puppy Large & Giant Breed dry food should I feed?